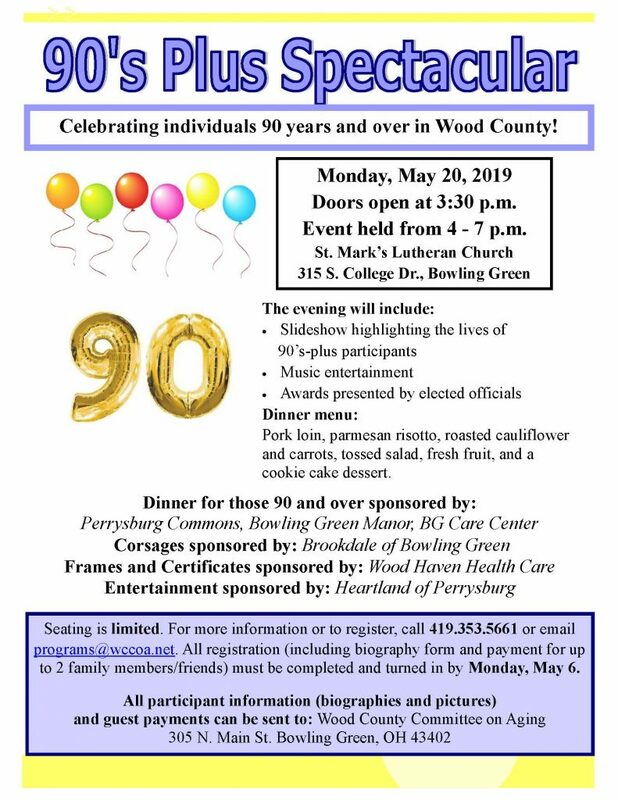 Upcoming Event: 90’s Plus Spectacular: A celebration of those 90 years of age and over in Wood County! The Wood County Committee on Aging is accepting registration forms for those over 90 in Wood County. Please print and return the form with any guest payments and pictures to the Wood County Senior Center at 305 N. Main St. Bowling Green, OH 43402.